10.2% were from low-participation neighbourhoods (see Note 5). 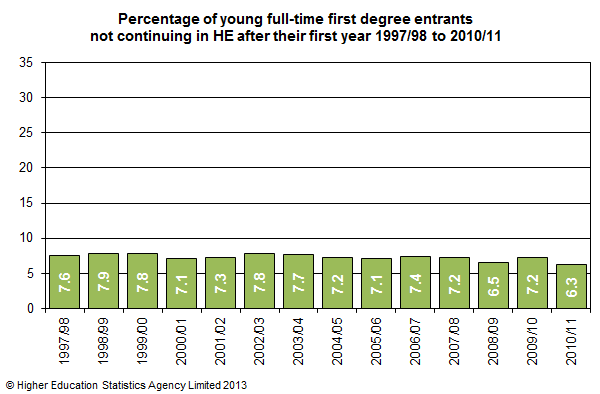 More Widening Participation summary tables and charts can be found on our site. More Non-continuation summary tables and charts can be found here. Low Participation Neighbourhoods are defined by the new POLAR3 classification created by HEFCE. This is an update of the previous POLAR2 classification and so the figures for this indicator are not perfectly comparable with previous years. 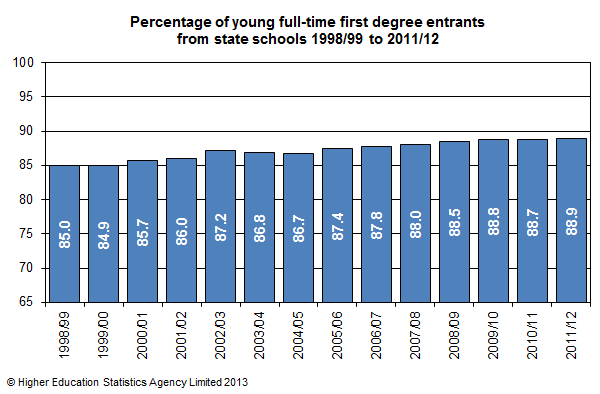 The state school indicator is not adjusted to reflect changes in the relative proportions of state and independent school pupils over time. A second tranche of Performance Indicators covering Employment of Graduates and Research Output will be published on 4 July 2013.